Tropical and Mahou beers are the popular local drinks. 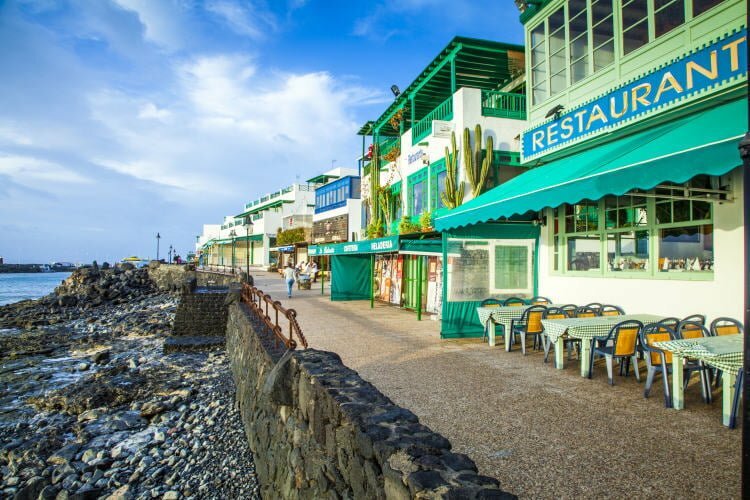 As for eating out in Lanzarote; for the ones who want to discover the autochthonous gastronomy of Lanzarote and Canary Islands, the fine fish in the coastal towns of El Golfo, La Caleta de Famara, Orzola is worth a taste. Cherne (a variety of grouper), meagre and Uga salmon are also other popular fish dishes in Lanzarote. Grey or red vieja, stewed or slit open and done on its back is a favorite dish with the islanders. The comforting fish stock or the typical homemade jareas, pejines and tollos, the papas arrugadas or wrinkled potatoes (potatoes boiled with their skins on in a lot of salt which crystallizes when dry and ‘wrinkles’ the potatoes), the sancocho, with its wise combination of ingredients, the soft and cured cheeses are all popular dishes and examples of culinary creativity. As for wines; the wines of La Geria are very popular. They are worthy of special merit on account of the fact that they originate in the midst of dismal beds of ash, the wines of La Geria stand out for their clearly refined flavors. Lanzarote also possesses an Appellation Origine Regulating Board and produces the finest white wines of the Canary Islands.